Premiere fiber internet provider Converge ICT offers Whole Home Wi-Fi System to its fiber consumer. 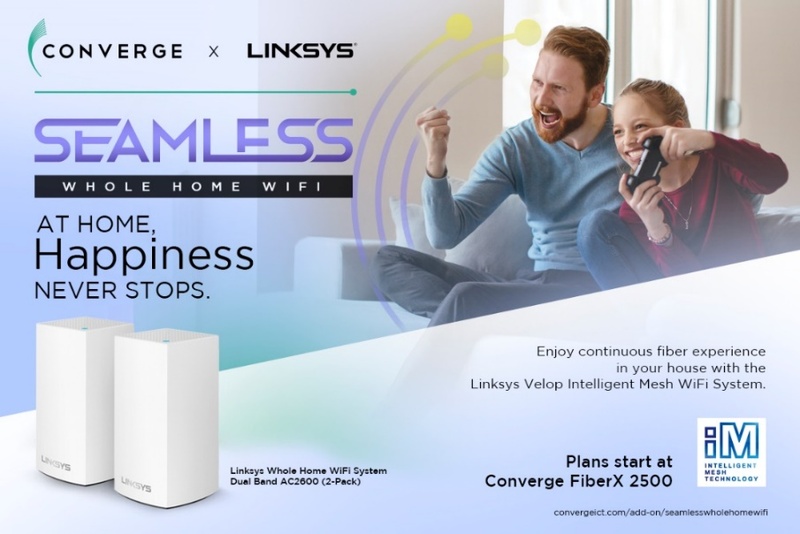 Pushing the local fiber internet services market forward, Converge ICT recently unveiled a suite of new products that’s set to give a seamless connectivity experience for its subscribers. The Linksys Whole Home Mesh Wi-Fi System nodes are crafted with a simple and sleek design that’s visually similar with current trends in IoT (Internet of Things) devices such as home hubs, smart TV boxes, and smart displays. Linksys’ Intelligent Mesh Technology allows the router to self-organize, self-optimize, and healing. This simply means that each node automatically connects to your router and even suggests the best spots for you to place it. If ever a node within your home gets disconnected, the remaining nodes instantly regroup and link with each other. The nodes are very easy to set up, all users must do is plug them in, tap a few settings on the mobile app, and let the technology do the rest.